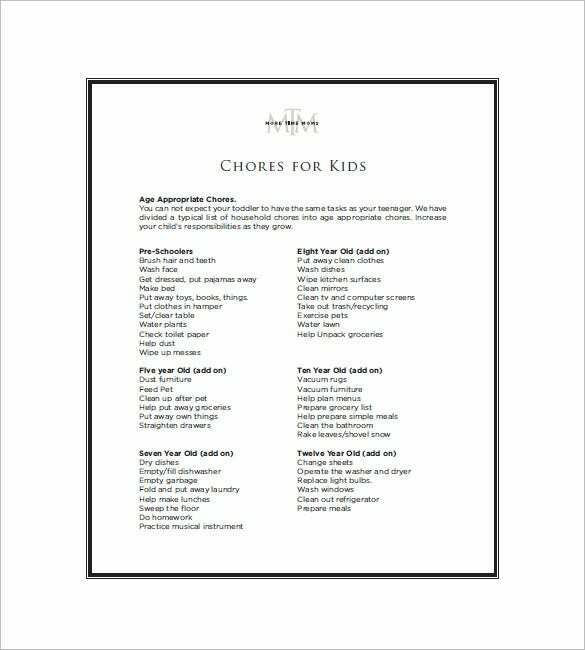 Chore List Template – 10+ Free Sample, Example, Format Download! No one likes to do chores and there’s always irritation and bickering in a family regarding household work. 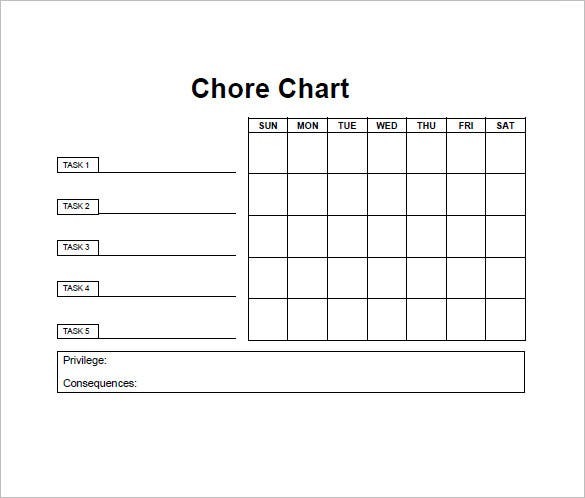 Avoid this constant state of unrest about who needs to do what and when by using our chore list template. cf.ltkcdn.net When you have to prepare a chore list for your weekly schedule, then it will require you to do a lot of research. Additionally, it is also very important that you don’t forget any fact therefore you need to prefer using thechore list template so that you can create a perfect chore list for the best recollection. cf.ltkcdn.net Teenagers usually seek attractive and pleasing appearance for a chore list but this is not always easy to develop. It requires quite a lot of chore listing knowledge. 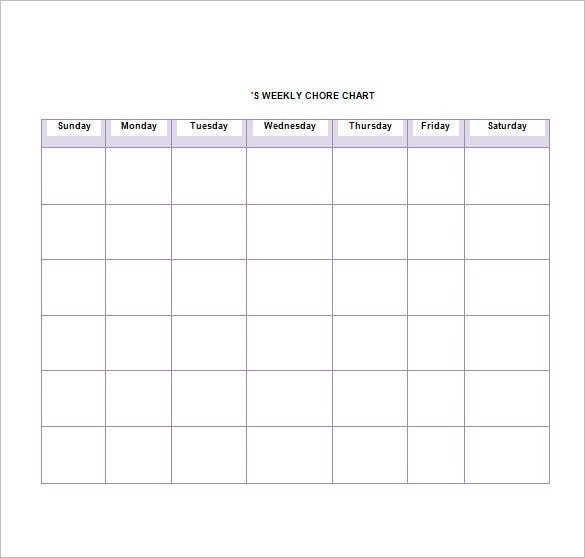 However, there is another way of downloading the chore list template which will save you from all the research trouble. When you are designing your chore list, then Microsoft excel can be the most preferred format for this purpose because it can actually offer you so many benefits and functionalities. However, you will need to learn features of Microsoft excel in order to avail its advantages. Or, you can simply use the readymadechore list template. cf.ltkcdn.net Downloading chore list template makes your household chore list designing task quite simple. This will become a quick and easy task for you because everything will already be available in the template. 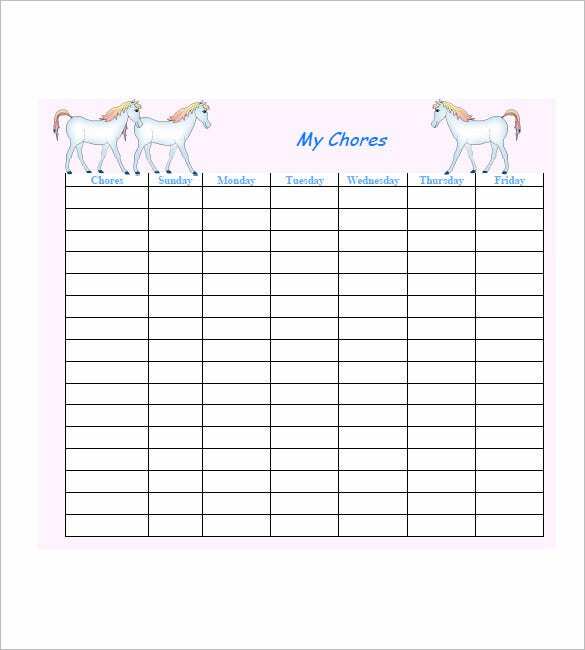 You just have to add your information and then your chore list is ready. 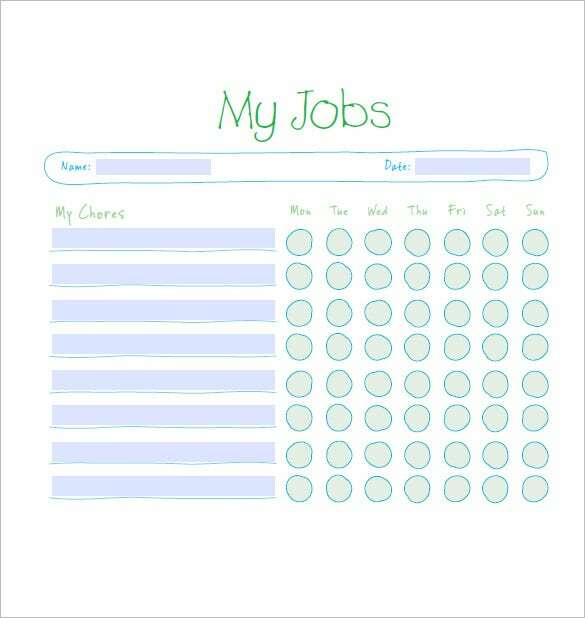 Divide the work among youngsters and other family members with this customizable and simple template. These templates will allow you to line up the chore details with the name of its assigned executor. Customize and re-organize the format as you need and print them for sharing it with everyone in your family. Download them now to cut through this avoidable bickering. 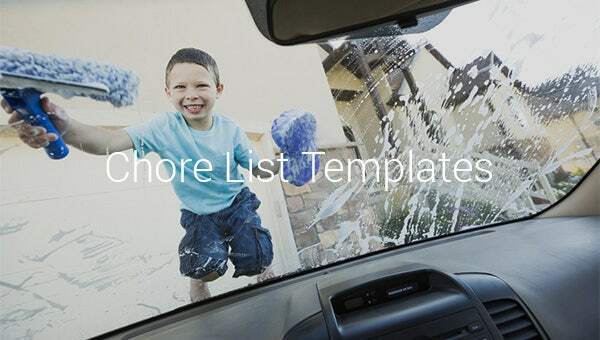 Why do you need chore list template? 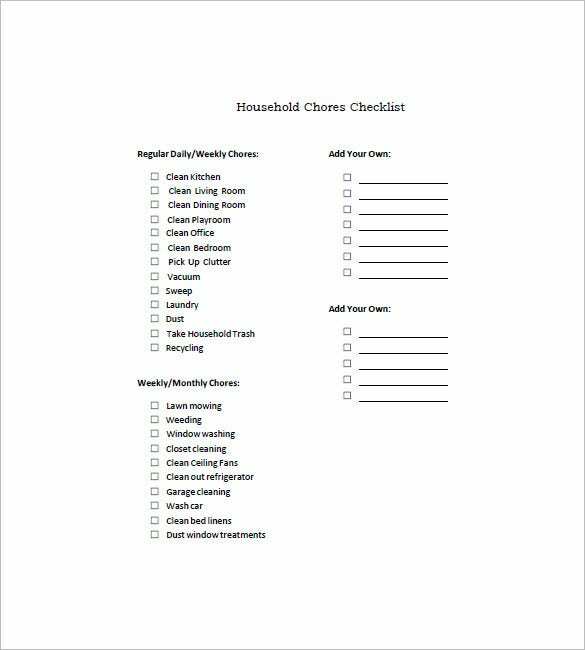 If you are looking for a professionally designed and skillfully developed chore list template, then the internet is always the best choice for you. The internet can offer you direct approach to many free of cost templates which can be downloaded easily in one click. You can avail them for free and all the templates will be perfect from all points of view. In fact, it is better that you make the selection of template freely on the basis of appearance because all the templates will definitely contain necessary features that you need for perfect completion of your chore list. 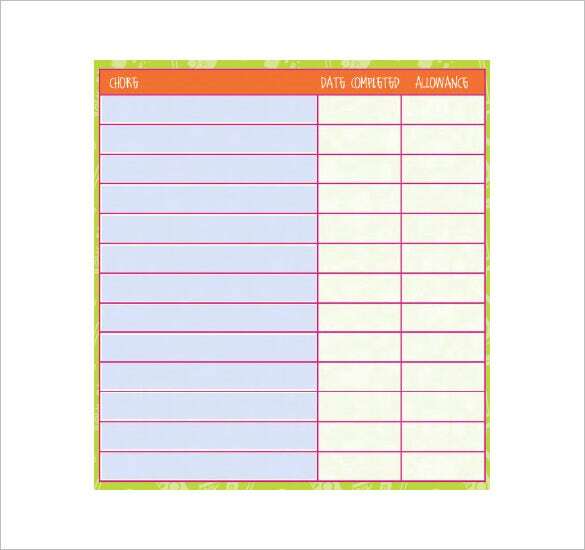 When do you need chore list template? When it is a matter of chore list template development that is perfectly suitable for all of your sharing requirements, then it can be really hard task to do. This can be a very lengthy and troublesome procedure to follow. However, the other option in this matter can be downloading the free of cost templates because you can download the readymade templates in any required format. You will find huge variety of file formats available in template collection on the internet. You just need to browse your collection and then you can make sure that you have not missed any aspect of appearance selection. 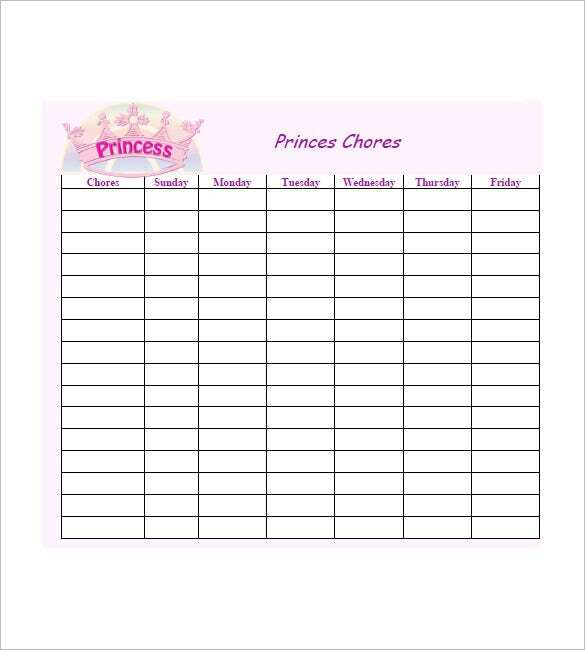 If you are looking for advanced functionalities in your chore list so that you can do something more with your simple listing format, then you need to prefer using professionally designed chore list template for this purpose. When you select a skillfully designed template for your need, then you will get a guarantee of the best results along with the advantage of saving so much time of chore list creation process. In short, your chore list creation task will become a matter of a few hours for you because you just need to find out the right template and then fill the necessary data in it. 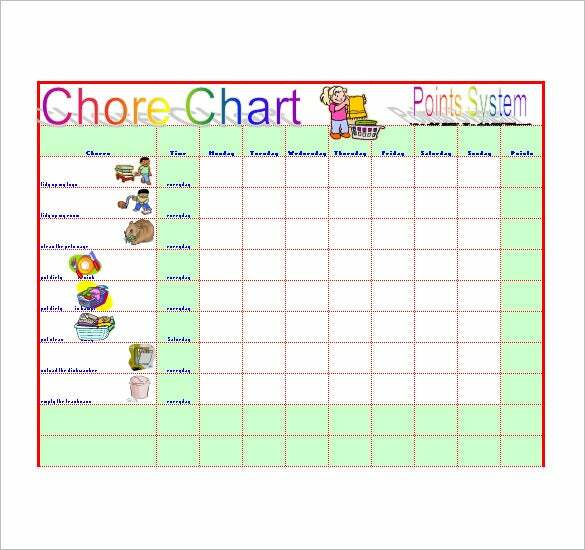 You can always download the chore list template for free and they will give you all the privileges that will help you to accomplish your task with great accuracy level. You don’t need to waste your time anymore in any other option.That is all that you will need to do for perfect completion of your chore list. If you have any DMCA issues on this post, please contact us!